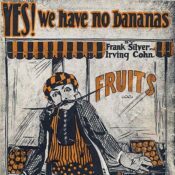 1st January was Public Domain Day 2019 when works from 1923 became free for all to use without permission or fee. 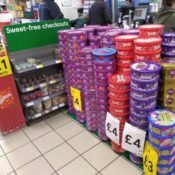 Tesco announced in 2015 that they would operate sweet-free checkouts to avoid tempting children so you can imagine how they were mocked when this mountain of chocs turned up at their Kingston store. 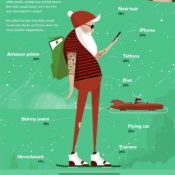 Father Christmas has been reimagined for the modern era based on an open survey in the US and UK and then voted on by 4,000 people in the same countries. 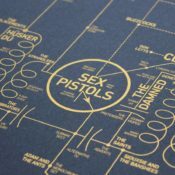 Certain letters are getting harder to fill and none is more eXasperating than X. 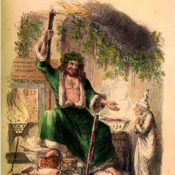 So yet again I have decided what could be more timely than to resurrect my post about Father Xmas. 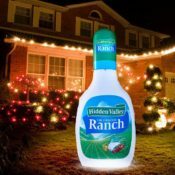 For an unusual piece of house bling, try the giant inflatable and illuminated bottle of Ranch dressing. And for your tree, this seasonal Star Wars Death Star tree topper. 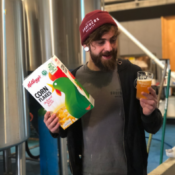 The Seven Bro7thers Brewery in Salford is using cornflakes rejected by the nearby Kellogg’s factory to make Throw Away Ale and so cut down on food waste. 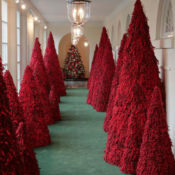 Melania Trump has decorated the White House in typically understated style but what on earth are the red trees about? It looks like a weird Dr Who set.